Be sure to CLICK HERE to catch up on my prior podcasts! 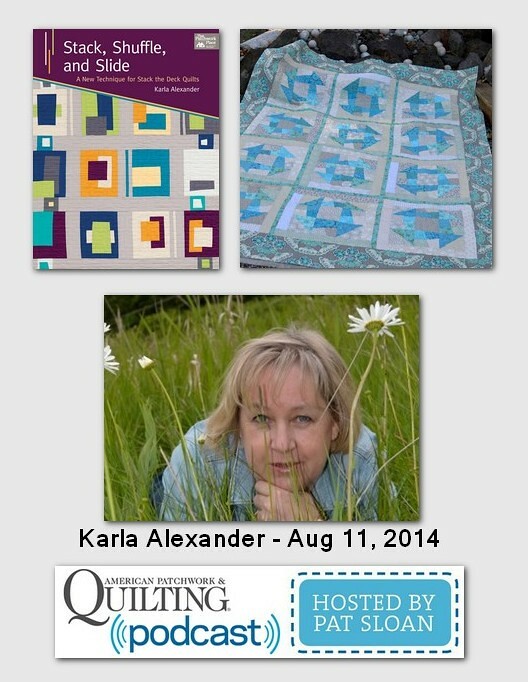 Author and Quiltmaker Karla Alexander loves to make amazing quilts that look harder than they are. You know her Stack and Shuffle series of books with Martingale. Her technique is super fun to do and you create these spectacular quilts. Today Karla is going to tell me about her latest book Stack, Shuffle, and Slide … she has some tips for fabric picking and sewing for easier quilting! I knew I was going to love Melanie Testa when I walked up to her booth at the show and she was elbow deep dying fabric.. yes.. IN her booth! I've read Melanie's blog for awhile and admired her art. Lucky us, she now has her art on fabric with Windham! 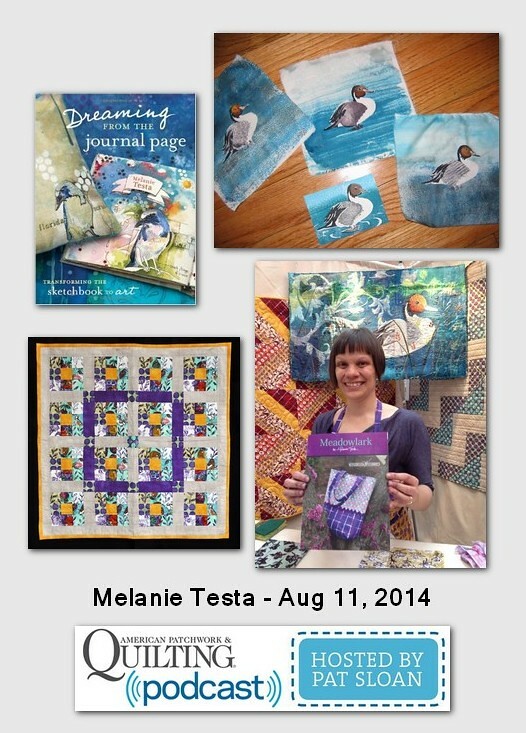 Melanie is going to talk with me about her creative process and how she came up with her fabric line “Meadowlark”. 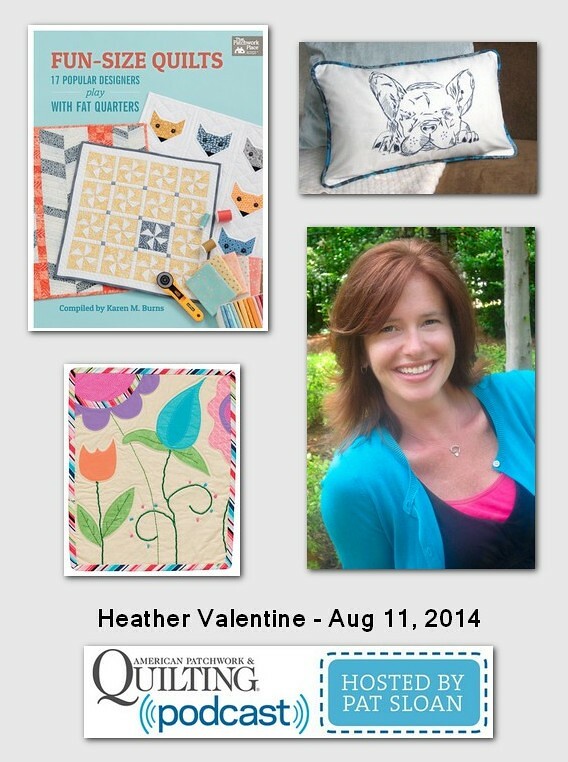 Heather Valentine is passionate about sewing education and that shows in her designing, writing and her business site 'The Sewing Loft'. Heather shares tutorials and tips that are a fantastic reference... but she also has built an amazing community online of people helping people and sharing what they love. Heather is going to give us some great tips today for using scraps, getting things done and a lot more!